This thread is for members to call attention to items they wish to give away for free, to help another member complete a restoration or repair, or otherwise help advance their hobby. This thread will remain pinned for a limited time, in order to give it some visibility and call member's attention to it. It will eventually be unpinned and allowed to "float" with all the other unpinned threads. This thread is being tried as an experiment. It is up to the members who use it to use it properly, in order to keep it going. 1. 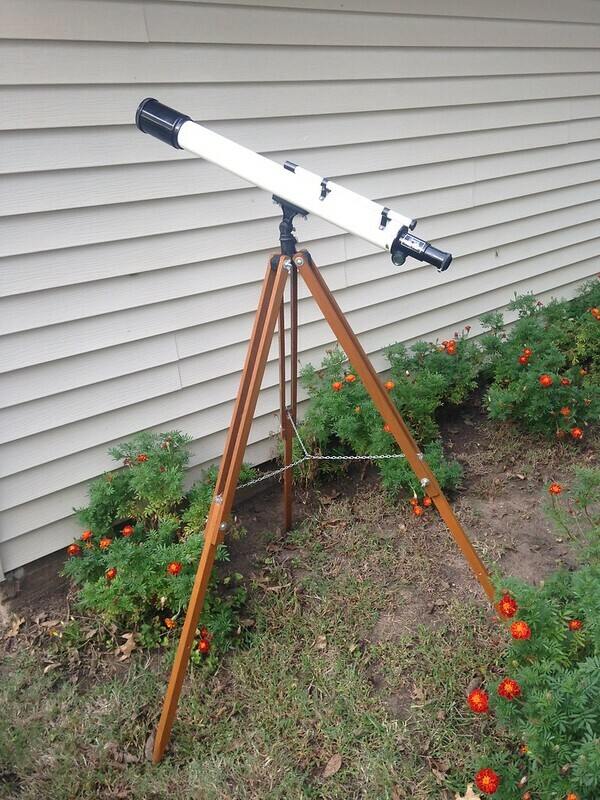 List only items that are free to a good home and directly related to the restoration or repair of a classic telescope or other classic astronomy-related device, or reference materials that apply to same. No compensation may be asked for, other than reasonable shipping charges. Shipping charges may be waived by the giver, at their discretion. Local pickup is encouraged where possible. 2. Please do not accept someone's generosity if your intention is to flip the item for profit. This is the honor system, please use it honorably. 3. If you have multiple items, please list them in the same post whenever possible. Once given away, please post in the thread that the item is no longer available. Do not delete the item listing, this will provide a history. Don't "bump" your post too often. 4. All communication between giver and receiver should take place via the PM system. 5. Cloudy Nights assumes no responsibility for any aspect of any giveaway items listed in this thread. Free to good home - a tube from a Sears 6339-A scope. Only the tube and the receiver for the focuser. No cell or focuser. Threads are excellent, paint is excellent - maybe a chip or two, I can't remember. I can take a photo if you are interested. PM me. 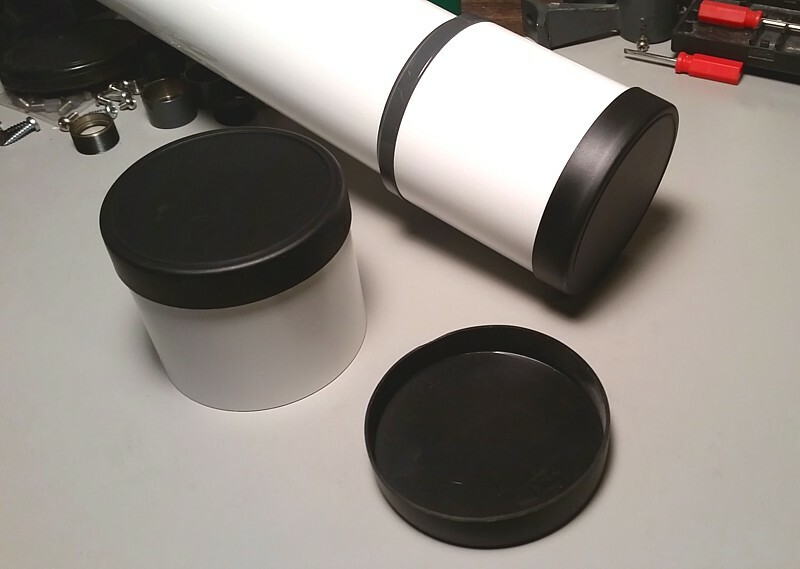 I still have a few dustcaps that fit many older 60mm refractor dewcaps. Will fit any 70mm OD dewcap. 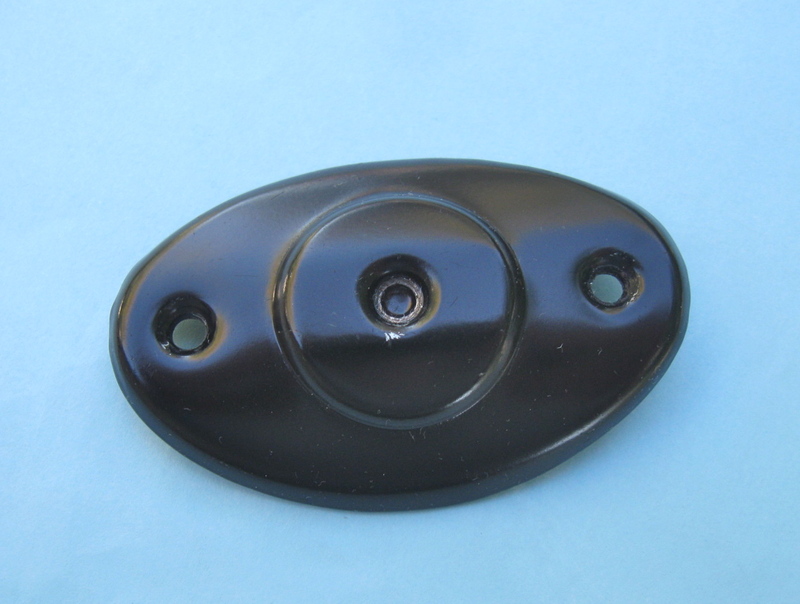 Black molded plastic, they resemble most black stock dustcaps. I will ship one per address postage paid. First come, first served. Only have a few left. Free to good home Edmund and Surplushed singlet lenses ,30-40mm dia, 850 -2000mm fl, for objectives, and several negative and small positive lenses for eyepieces. From a Galilean "approximation" atm project. Offer includes postage. Do you need a tray light? From a Sears 76/1200 Royal Astro and in great, possibly unused condition. NOTE.....item has been sent to interested party and is no longer available. Edited by herrointment, 20 September 2015 - 10:45 AM. 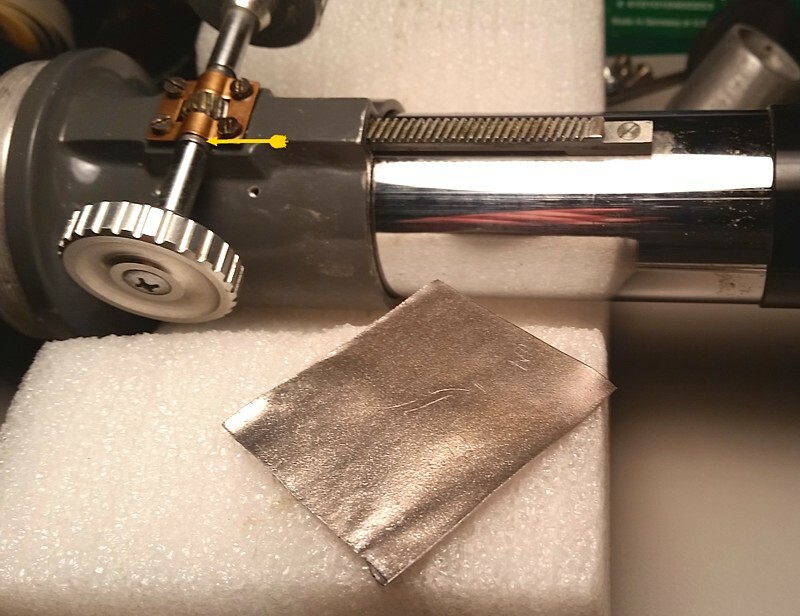 I have a supply of thin sheet lead that is used on some older Japanese focusers as pinion shaft bearing liners. It wears out and falls out over time and many people aren't even aware that it was used at the factory. If you send me a SASE (with TWO stamps due to weight), I will return it with one square inch of the material, enough to re-do two focusers. PM me. Free rubber caps for the steel pins on the vintage wooden tripods. These will help prevent damage to your home's floors, which in turn will prevent damage from your spouse. They are rubber dust caps for small RF connectors that were on some equipment I worked on. I tried them on the tripods I have and the work great. Nice snug fit so they won't be falling off. Price is free, and the shipping is free. Send me a PM if you would like some. Edit: forgot to mention, the pins I used them on are about 1/4" / 6mm in diameter. Edited by DreamWeaver, 24 September 2015 - 10:44 AM. 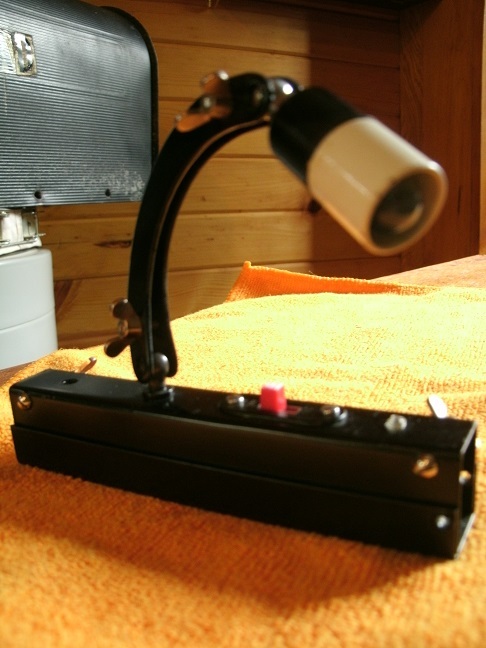 Another member requested a PDF manual for the most excellent 60mm LAFAYETTE F-342 tellyscope. I had a folded in half, raggedy, original old manual, but what the heck, it was complete so... I decided to put together a PDF manual for the dink. I'm sure I spent far to much time digitally cleaning up the scans but this PDF looks pretty darn sweet so...if ya' need a copy let me know and I'll email one to ya'. Coming soon a PDF manual for the Fab' 60mm SPACE SCOPE. Edit has expired, so I'm posting to say the legs and objective on my little Sears are claimed. Not sure anything else there is worth anything to anybody so it will probably end up in the recyclable bin this weekend. Well so far two Lafayette F-342 PDFs were sent to a few Cloudy Night Connoisseurs. So wheee...why not...lets scan another. This particular PDF is scanned from yet another beater manual. I have two of them and sadly both are beat but complete. They should be complete as there are only four pages printed on one piece of folded paper! Both of my "TELESCOPES Astronomical & Telestrial" uh...manuals(?) 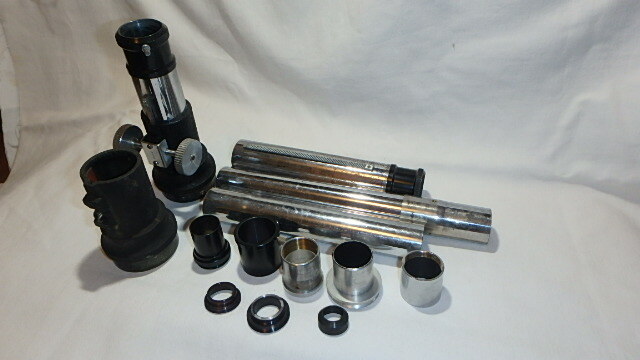 came with two superb 60mm Mayflower telescopes. I noticed some strangely odd spellings of the word "Terrestrial" in both manuals. Edited by badback, 07 October 2015 - 01:46 PM. Focuser stripped, but good bones. Here for your viewing pleasure is an old manual titled "YAMATAR 60mm & 76.2mm TELESCOPES INSTRUCTION" This was included inside a beat up, Atco tagged, "Woody" (wooden box) along with a 60mm x 910 Atco OTA (no mount ) and a few odds and ends including a Galoc 10.5 eyepiece. The OTA itself is a mess but is optically very nice. The lens cell is inscribed Yamatar so ... I strongly believe this manual was originally included with this sweet Atco telescope. If you need a copy let me know? Space Scope manual coming soon. A few items. They are also listed on the CN Classifieds, but I want to move them out. I've added links to the classifieds so you can see pics. Just let me know you want the FREE offer! I tried adding pics on this thread, but the effect was like throwing corn on the cob into a pig style. A lot of squealing. #1 small Eq mount. This is probably in the same capacity class as an EQ-1, but looks different. I think this was sold by Meade in the late 1990's, but I'm probably wrong. WYSIWYG. (What you see is what you get). You get the head, no counterweight shaft or weights, no slow motions or legs. The bolt that bolts the hub to the mount is not original and is too long. Both axis move, but are a little stiff. They loosen up after some moving around. Both slow motions controls work. The RA is a bit tight. Top has a cradle type fitting for small scope, maybe with a fitting on the scope. I have two ONE! vintage metal thread on dew shields. I put a link to a listing on the Classifieds, again, you pay for shipping only! The second pic shows the worst of cosmetic issues from age and use. From 5 feet away it looks fine. Color is a dark blue. This one is gone! >>The black one, a bit longer, I was told was from a Towa. Unknown scope objective size, but 75-80 is likely. 95mm ID. The second pic shows the worst of the cosmetic issues. Paypal, cheques, Money Orders, or trade for Health Food. Edited by Littlegreenman, 07 November 2015 - 04:38 PM. 106-7mm glass window or corrector plate? Some years ago I bought a boatload of stuff from the estate of a man who worked in the optical department of Bushnell. I keep finding little trinkets like this. Note: this is not necessarily from a Bushnell scope; there were a lot of parts from many brands. 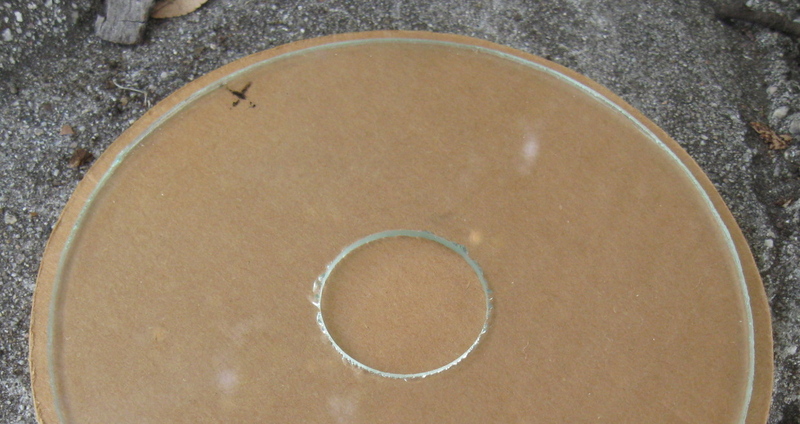 Minor chips around the center hole. No major scratches but expect some minor ones on the flat surface. Looking through it at print on paper it does not seem to change anything, but I will attempt to test it to see if it is a corrector plate if you give me instructions. $4 estimated sandwiched in cardboard in a padded envelope. Sorry about the truncated pic. I forgot this forum has a max. pixels per pic when I took it, and trimmed it down to fit. Here's the really cool Space Scope manual. I say cool cuz' all the text and line drawings are printed in red ink. Except for the photo, the entire front page title graphic, including the horizontal lines, are printed in blue ink, as are all the "parts indication numbers" on page #4. Beats plain ol' Black&White in my opinion. ...Red, White and Blue...most definitely cool. Edited by badback, 11 November 2015 - 08:25 PM. Not exactly a tunion mounting plate for refractor. I may be interested. 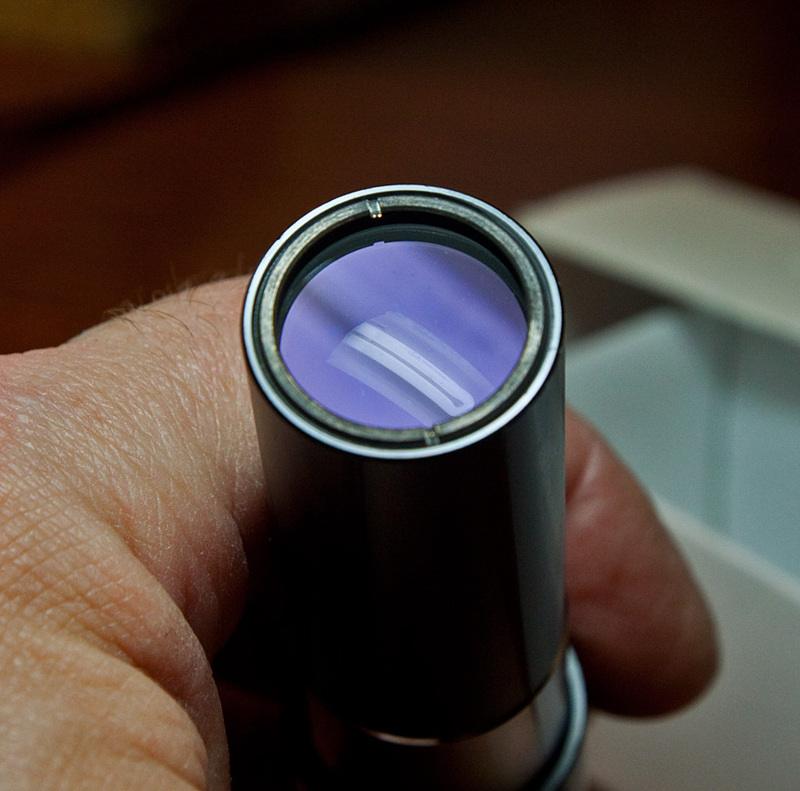 I've still got one meade 4" Mirror Lens that I bought with a broken optical window that needs a replacement. I'll have to measure the cell and the secondary hub to make sure that will fit, though. I think we're pretty close by one another, so I'd be happy to drop by someday after I've gotten over this flu to pick it up, if it looks like the right size. It's quite possible that the mysterious possessors of the divine Kalimar, secretly known as the "Unknown 3", may need a copy of the, never thought to exist, rarest of all telescope manuscripts known as "THE KALIMAR." Someone in the know alert the "Unknown 3" Kalimarians now, if you know who they are and, or...aw, the heck with em'. Get your own freebie copy today, ta-now or tomorrow. I was cleaning out my photo equipment closet and found a .965 Carton 2x Barlow. I have no idea where I got it; it must have come with some camera stuff I bought long ago. It looks brand new; certainly there are no marks of any kind on the optics. Sorry, no caps. I have no .965 scopes, so it's of no use to me. I'll ship it to anyone free of charge, and will only charge for shipping to folks outside the continental USA. First person to PM me with a shipping address gets it. If shipping charges are needed, we can work that out afterwards. 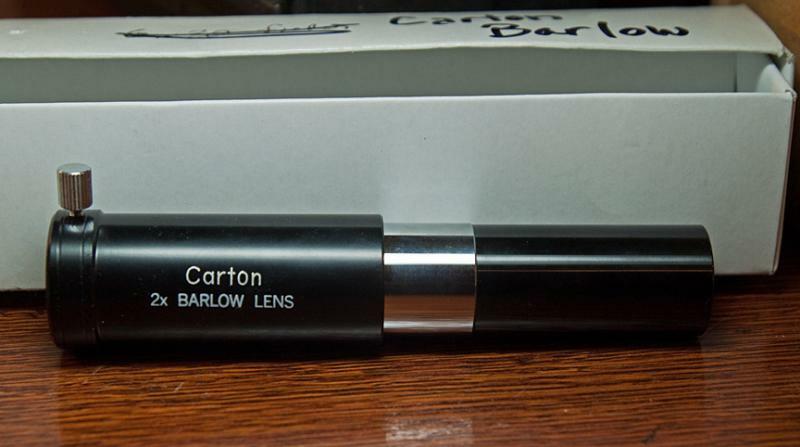 I've gotten several responses about the Carton Barlow. Consider it gone! 4 sheets of 8x10, front and back. $0.45 folded to cover postage. $1 ? if you want in mailed flat. 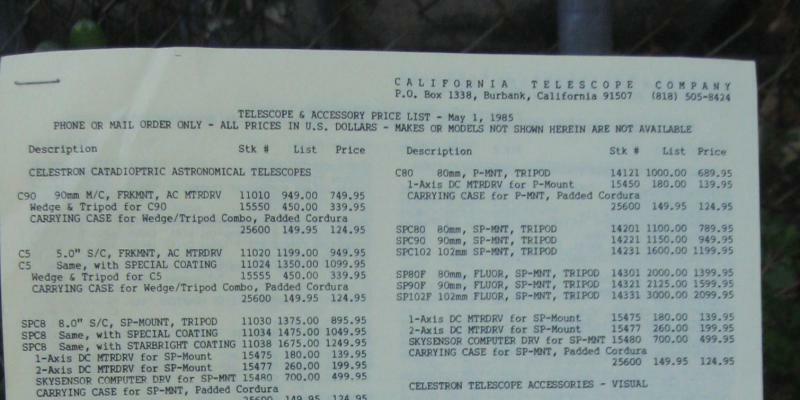 Look at the prices of the Fluorite scopes holy garlic stuffed bullfrog tadpoles! I wish I still had mine, it was very special. Did you ever see the prices for both a 4" an 6" Unitron in the 60s ? I bought a 64 1/2 Mustang for less than a 4" Unitron..
Taken, along with the other items I posted above.